A small business goes through various stages of development, facing different cycles throughout the life of the business. What you focus on today may not be what's important tomorrow, and your challenges will change and require different approaches to be successful. You need to be able to anticipate upcoming challenges and financing sources you will need to succeed at each stage of the business lifecycle. The seed stage of your business lifecycle is when your business is just a thought or an idea. Challenge: Most seed stage companies will have to overcome the challenge of market acceptance and pursue one niche opportunity. Do not spread money and time resources too thin. Focus: At this stage of the business the focus is on matching the business opportunity with your skills, experience, and passions. Other focal points include deciding on a business ownership structure, finding professional advisors, and business planning. Money Sources: Early in the business life cycle, with no proven market or customers, the business will rely on cash from owners, friends, and family. Other potential sources include suppliers, customers, and government grants. Your business now exists in legal terms. Products or services are in production, and you have your first customers. Challenge: If your business is in the start-up lifecycle stage, it is likely you have overestimated money needs and the time to market. The main challenge is not to burn through what little cash you have. You need to learn what profitable needs your clients have and do a reality check to see if your business is on the right track. Focus: Start-ups requires establishing a customer base and market presence along with tracking and conserving cash flow. Money Sources: Owner, friends, family, suppliers, customers, or grants. Revenues and customers are increasing with many new opportunities and issues. Profits are strong, but the competition is surfacing. Challenge: The biggest challenge growth companies face is dealing with the constant range of issues bidding for more time and money. Effective management is required, as is a possible new business plan. Learn how to train and delegate to conquer this stage of development. Focus: Businesses in the growth life cycle are focused on running the business in a more formal fashion to deal with the increased sales and customers. Better accounting and management systems will have to be set up. New employees will have to be hired to deal with the influx of business. Money Sources: Banks, profits, partnerships, grants, and leasing options. Challenge: It is far too easy to rest on your laurels during this life stage; the marketplace is relentless and competitive. Stay focused on the bigger picture. Issues like the economy, competitors, or changing customer tastes can quickly end all you have worked for. Money Sources: Profits, banks, investors, and government. Challenge: Moving into new markets requires planning and research. Your focus should be on businesses that complement your existing experience and capabilities. Moving into unrelated areas can be disastrous. Focus: Add new products or services to existing markets or expand the existing business into new markets and customer types. Money Sources: Joint ventures, banks, licensing, new investors, and partners. Changes in the economy, society, or market conditions can decrease sales and profits. It may quickly end many small companies. Challenge: Businesses in the decline stage of the life cycle will be challenged with dropping sales, profits, and negative cash flow. The biggest issue is how long the business can support a negative cash flow. Consider if it may be time to move on to the final lifecycle stage—exit. Focus: Search for new opportunities and business ventures. Cutting costs and finding ways to sustain cash flow is vital for the declining stage. Money Sources: Suppliers, customers, owners. It is a big opportunity for your business to cash out on all the effort and years of hard work. Or it can mean shutting down the business. Challenge: Selling a business requires your realistic valuation. It may have been years of hard work to build the company, but think about the real value in the current marketplace. If you decide to close your business, the challenge is to deal with the financial and psychological aspects of a business loss. Focus: Get a proper valuation on your company. Look at your business operations, management, and competitive barriers to make the company worth more to the buyer. Setup legal buy-sell agreements along with a business transition plan. Money Sources: Find a business valuation partner. 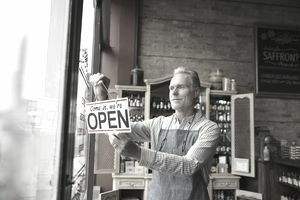 Consult with your accountant and financial advisers for the best tax strategy for selling or closing out the business. Each stage of the business lifecycle may not occur in chronological order. Some businesses will be "built to flip," quickly going from startup to exit. Others will choose to avoid expansion and stay in the established stage. Whether your business is a glowing success or a dismal failure depends on your ability to adapt to its changing life cycles. What you focus on and overcome today will change in the future. Understanding where your business fits in lifecycle will help you foresee upcoming challenges and make the best business decisions.